Priority One is a privately held company, founded and operated by the same family since 1988. They currently have three generations working together in the nutraceutical industry. Their full-service CGMP manufacturing facility is certified under 21 CRF Part III. Priority One is a registered facility with the FDA and are certified by the State of Washington for dietary supplement manufacturing. Their manufacturing facility has also been approved in over ten countries for dietary supplement manufacturing. 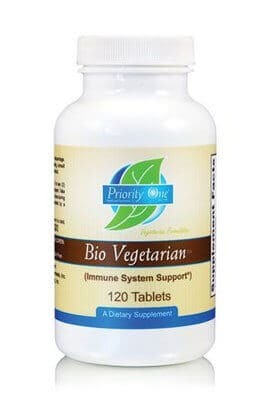 Bio Vegetarian is designed to synergistically reinforce the vitality of an individual’s immune system.Supporting the body’s natural ability to neutralize potential immunogens, and remove cellular debris. Bio Vegetarian provides a combination of immune support essentials; vitamin A, C, B6, zinc and a powerful lineup of herbal extracts. These extracts incorporate key isoquinoline alkaloids such as berberine found in barberry and Oregon grape, with the immune system support of fat-soluble alkylamides found in high quality echinacea root. Add to this citrus bioflavonoids, myrrh resin, ginger root, cayenne, garlic, and grapefruit seed extract and you have an immune support ally like no other. 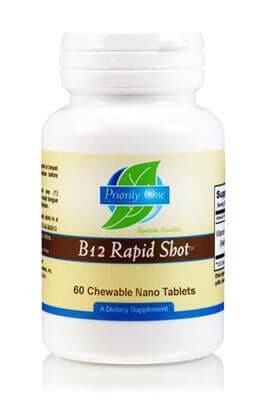 Rapid delivery of high potency B12 without the pain. Methylcobalamin is the active form of vitamin B12 that acts as a cofactor for methionine synthase in the normal conversion of homocysteine to methionine. It also acts as a methyl donor and participates in the synthesis of SAM-e (S-adenosylmethionine), a nutrient that is active in individuals with normal responses to occasional external stressors. 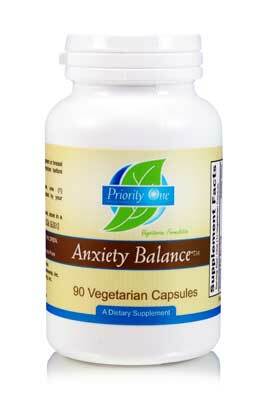 Anxiety Balance is a comprehensive herbal formula designed to promote balance of emotions during times of stress, and help maintain healthy sleep patterns.